The final presentation of my MA consists of a body of work entitled GRAVIDUS. The name GRAVIDUS is the Latin word for pregnant but can also mean heavy, burdened or teeming. This is appropriate for this work as it represents the physical aspects of my own pregnancy both internally and externally and also some of the emotional feelings that were present throughout. 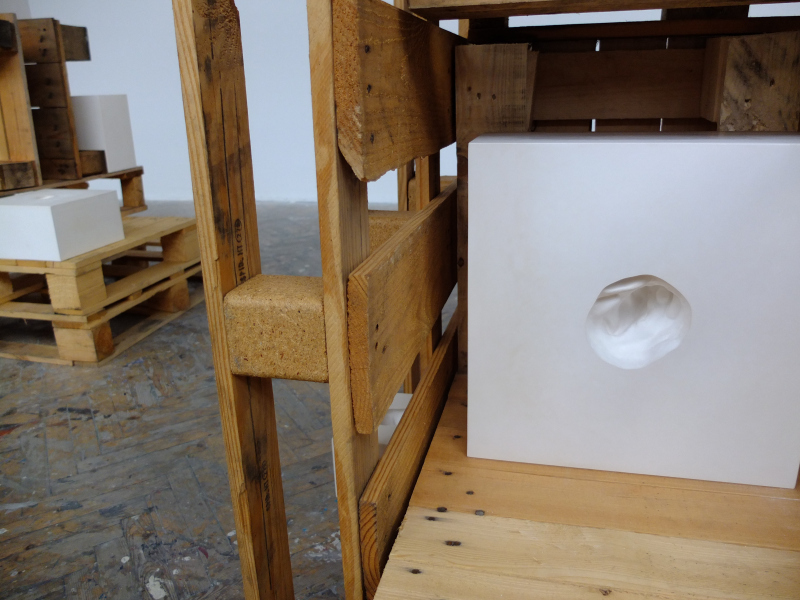 As a whole, the work uses the mould-making process as a basis for creating sculptural pieces and indirectly references my changing bodily state in pregnancy. 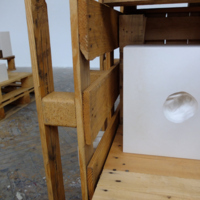 GRAVIDUS I is comprised of a series of nine plaster blocks of variable size with different interior forms. For the MA show, it was arranged systematically over two reclaimed wooden structures. The materials used for the work’s display reference the supporting mechanism used within industry and workshop production to add strength to a final sculpture or building material. The openness of the display allows for different visual effects as the viewer moves around the piece and links to the visible internal spaces of the pieces themselves and theoretical notions of the boundaries of the pregnant body. “Claire Hickey,” Artist Parent Index , accessed April 22, 2019, http://www.artistparentindex.com/items/show/59.